Last month, I presented you with a coin that exemplifies what our Rare Coin Program (RCP) is all about. You responded immediately, with significant interest in adding value and asset protection to your portfolio through the addition of rare coins. The coin in question was acquired by a client just over 24 hours after we released it to the public! Demand in this asset class has never been higher. This month is no different. Take a look at the coin below. This coin is available right now and fits all the criteria for being an RCP coin. It will be popular with collectors, it has something unique for its type and year, and it is one of the highest grades possible. But the key is to add coins to your portfolio that are truly rare, not just old, and this coin fits the criteria. Take your first step into the value, upside potential and stability that rare coins provide. The enigmatic three dollar gold piece was first issued in 1854, ostensibly to make bulk transactions involving the new three cent stamp to be easier. This denomination proved popular for only a few years, and by the beginning of the Civil War its fate seemed destined to be discontinued; this finally occurred in 1889. The 1854 is doubly popular as a first-year-of-issue and the only issue of this design to use the small letters in DOLLARS on the reverse. In 1855, the reverse was changed and the lettering was increased in size. The 1854 is common in the lowest Uncirculated grades, but properly graded Gems are very rare, and this issue is almost never seen above MS65. This example is an unabashed Gem with great color and luster and immaculate surfaces. It is among the finer 1854 three dollar pieces we have seen. PCGS has graded 22 examples in this grade with 11 finer. CAC has approved eight in MS65 with none higher than this. Auction records as high as $26,450 for MS65 examples were seen in the height of the three dollar gold market in 2005-2006. This coin presents the type collector with a wonderful opportunity to own a truly first-rate example of a popular issue. Many ASI clients have been rare coin investors for years. When I posted our most recent example of a prototypical RCP coin in my last article, I received a tremendous response, and a client acquired the $63,500 coin for their portfolio in a little over 24 hours. Those who understand, act. If this coin in particular isn't for you, take a look at our website to see more examples of a few hand-picked coins that are perfect for you and are available right now! What is the Rare Coin Program strategy, and why is it right for you? Rare coins have earned investors an average of 11% annually over the past 40 years. No stock market or investment index boasts such consistency. Unfortunately, in this arena, only a very few have been able to access the deep knowledge it takes to buy and sell properly. Rare coin investing has always, until now, been difficult to navigate for the average investor, and that did not sit well with us at ASI. Our Co-Founder, Michael Checkan, and President, Rich Checkan, set out to do something about that. The result was our Rare Coin Program, a turnkey strategy for buying and selling rare coins with hand-picked selections by a leading world expert. Think of the rare coin equivalent of having Warren Buffet pick your stock portfolio. add to a core portfolio of precious metals for long-term holding. Let's unpack each of these benefits of holding rare coins as an investment so you can see the power. Meet our expert, whose number one goal is your success. Our rare coin professional, Douglas Winter, is the world's leading expert in pre-1933 U.S. rare gold coins. Doug has been at the forefront of the rare coin business for the last 40 years and started collecting at age seven! Since then, Doug has become one of the most respected names in numismatics and has been a lead consultant for Heritage Auctions, Stacks and Bowers and Sotheby's. He has written 13 books on U.S. coins and is a contributor to some of the most famous U.S. coin encyclopedias (Redbook to name one) out there. Doug has been the lead buyer of rare coins for major firms, so when businesses or individuals want to invest, they go to him to get the best price and expertise in the marketplace. He is a magnet for collectors who bring their best to him for sale, and to place requests with him to buy. He knows the nuances of pricing, what is trending and what is valuable beyond its cost. He also knows how to buy and sell at auction with razor sharp pricing precision. Only in the Rare Coin Program will Doug's services be available to you! This makes me more worried than ever. When everyone believes there is nothing wrong with asset prices, and there is no downside in sight, that's the time to protect yourself. If this prediction is wrong, we will be in a situation where having uncorrelated assets through the Rare Coin Program will be more important than ever. If they are right, it is still important to diversify, to protect yourself long-term, and to take advantage in gains across many different market types. 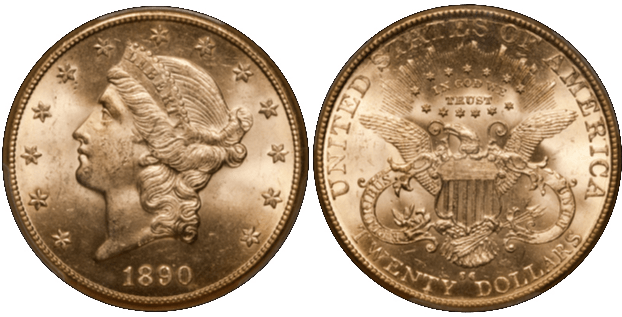 In short, rare coins are a good idea in any market condition. The holdings in the RCP are UNCORRELATED to any other investment market. You get the freedom to take a chance in other markets, with a lift to your portfolio if there is a correction. It is not too late to protect yourself; but you must take action and not wait on the side lines. There will be no early warning signal, just a big bite out of your net worth when/if a correction takes place. Enhancement to Core Portfolio of Precious Metals: ASI's fundamental premise is to own a core portfolio of precious metals for the long-term. Many of you adhere to our philosophy. What more can you do for protection in a crisis or in the face of the devaluation of the dollar and other wealth-busting money policies? For veteran gold and silver buyers, the natural next step is rare coins. Collector demand rules the rare coin market, and demand has never been higher. Since introducing the ASI Rare Coin Program, we have provided clients with hundreds of the most beautiful, top collectible coins in the world. Obtaining the finest known or close to the finest known examples in the world is not uncommon in our program. However, don't let that intimidate you. One of the beauties of the rare coin market is that truly rare coins can be found at a variety of price points and still have great upside potential. Your experience with the ASI Rare Coin Program will be truly fascinating. It all starts with a discussion of your goals with a Preferred Client Relations representative. This alone is valuable, as you get clarity on how and why rare coins are selected. We are not on commission. Our compensation is a fixed salary. Only when you are ready will we give our expert, Doug Winter, the go ahead to personally handcraft your portfolio. Doug hunts for the top 1%, what he calls "the top of the top" of collectible coins. It often takes time, but Doug will pick coins with your best opportunity for success in mind. Your exit plan is built-in to the RCP strategy. Why are we so interested in offering you the best value and most upside potential in the coins we offer? Because we want you to come back to us when you are ready to sell your coins later...at a profit! Trust is important to us. We are building a relationship with you. Call us when you are ready to sell some, or your entire portfolio. Gone are the days of working hard to figure out how to sell your coins for the best return. ASI and Doug will get you your best result. We know all the serious buyers in the market and know which coins will do better selling outright, or at auction. We will suggest what we think the best course of action is, but ultimately, the decision is yours. It is very likely that when you are looking to sell, Doug already has a buyer. Top collectors from all over the world send him wish lists. If you already own rare coins, allow us to evaluate them for you free of charge and help you create a winning portfolio. Call us at 877-340-0790 or send an email to get started. If this is your first rare coin buy, we make it very easy for you to enter the Rare Coin Program with minimums of $10,000 to start. Every one of our clients who participated in the RCP have been so pleased, they told me personally they want to buy again. Call me today to see why they do.